Left Uppercut – Pivoting your entire body again but instead drop your left fist momentarily before throwing it upwards as you pivot your body. Right Uppercut – Pivot your whole body like you’re throwing a right cross but then drop your right hand a little before throwing it upwards. Straights and hook punches are usually thrown with the fist rotating so that the palm faces the floor when you punch. when you throw uppercuts, rotate the fist to that the palm is facing upwards. You can throw punches one at a time but it’s usually better to throw 3 or 4 at a time. No more than that. 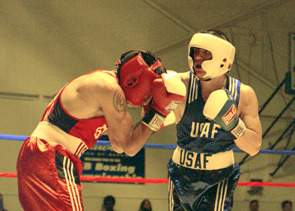 Boxers typically aim their punches at the head, the chest, the stomach, the ribs, or anywhere else on the body. Conventionally, fighters will throw straight punches from long distance and then use hooking punches or uppercuts only at close range. You should breathe with each punch to conserve energy and add power. You should also turn your whole body with each punch to maximize punching power. Your basic stance should already provide a reasonable amount of protection. When punches come at you, simply raise your gloves or drop your elbows to block. When you punch with one hand, remember to block with the other hand to decrease your chances of getting caught. 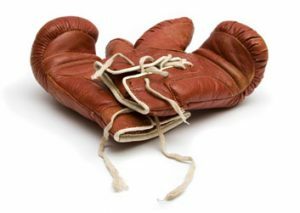 Use your right glove to block your opponent’s left hand punches and your left glove to block your opponent’s right hand punches. This is a combination of defense and offense. 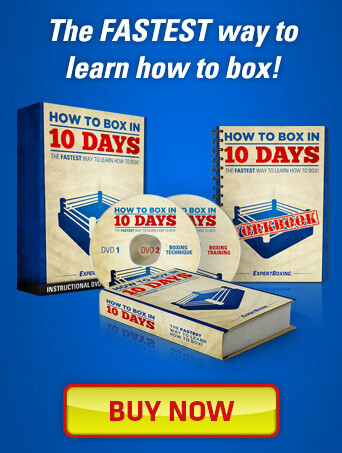 Beginners just learning how to box will typically switch off between punching and defending. 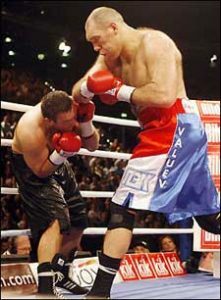 A more experienced boxer knows how to defend and punch while the opponent is attacking. 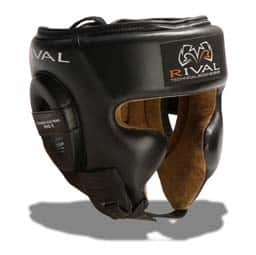 Once you learn some basic boxing counters, you will learn how to block your opponent’s punch while at the same time attacking him on the side where his punching arm has left a hole. Examples of counter-punches would be to punch over, under, or around your opponent’s punches while he’s punching you. You can also beat his wide punches by throwing a straighter punch right down the middle. If you can do everything above, CONGRATULATIONS: you’ve passed How To Box 101! And there you have it. A super simple, quick and easy guide on how to box in 15 minutes or less! Sure I’ve left out a ton of details but it should be enough to get anyone started and boxing (or mimicking boxing) within 15 minutes. Once they’re getting the hang of it, you can then step in and start refining their technique. The goal for the beginner is to make sure they have fun boxing right away. If they’re not going pro, why force them to jab for 2 weeks straight before being allowed to learn other punches? this page tells you how to throw punches,thanks. I appreciate the compliments. Happy new year! your tips are extremely useful for streetfight also >thanks! When i block using the peek a boo style should be my palm facing me or each other. @Dex – with the peek-a-boo defense your palms are facing you. You can watch videos of Arthur Abraham for an example of the peek-a-boo defense in action. @Kate, most people throw the overhand right instead of a right hook… you can dig right hookercuts to the body sometimes. I learned the fundamentals of boxing when I lived next door to 3-Time National Golden Gloves Champion, Marcus Anderson( Lightweight)…I always like to hook off of my jab, sometimes I would double up on the hook. Like most sports…training and practicing deligently is key to success. As good as Marcus was as a Boxer, he always trained( sparring, road work, hitting the speed bag, etc. it definitely will pay off in the ring. Love it bro…………………… Nice wan!!!!! If you are a southpaw, would you right hook and left cross? Also are these shots to the body? Btw great article. @Marcus Tija – you are correct, southpaws throw left crosses and right hooks. Either of those can go to the head or body. Thanks for reading! hi..when i was trained my trainer taught me to be southpaw tho i was right handed..i am now used to southpaw of course, but my stronger hand/arm is my right..im confused and dont know what to do..please help!! i am right eye dominent. forgot to note that my left arm is strong as well, but not as accurate as my right, but i do use my left alot more (more muscle too) i write with my right hand..should i just stay southpaw? or re-train orthodox? 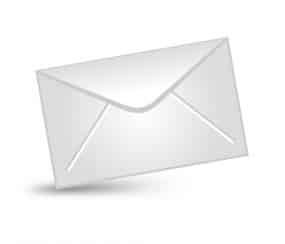 @yvonne – I would retrain to orthodox. That’s just my opinion…try it for a month and see how fast you improve. If the improvement is tremendous and you have more confidence in both hands, then you know you’ve made the right decision. thank you johnny. i will do so. @yvonne – you’re welcome. let me know how it goes. Some guys throw an overhand right, which is like a right cross, but have your elbow bent. Other guys throw it like a right hook…which is like left hook but opposite direction and you pivot your right foot while you throw it.